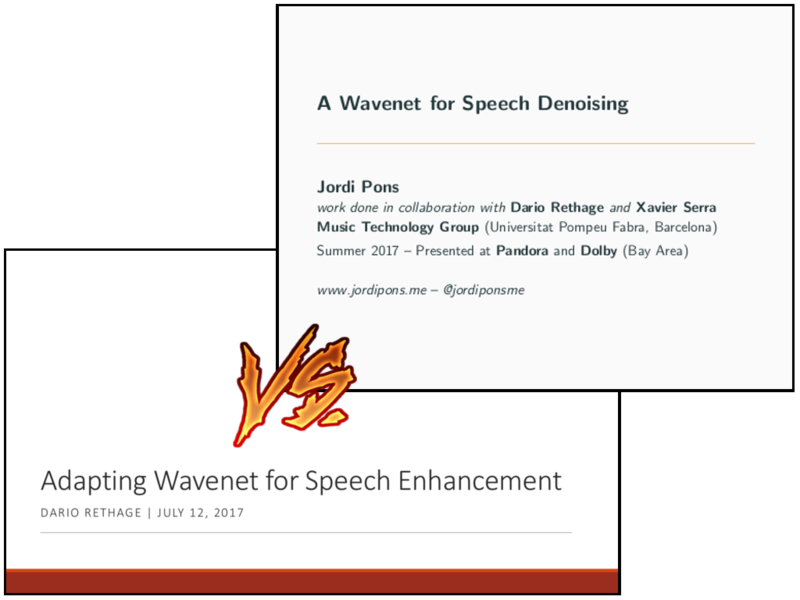 These lasts weeks we have been disseminating our recent work: “A Wavenet for Speech Denoising”. To this end, I gave two talks in the Bay Area of San Francisco: one at Dolby Laboratories and the other one at Pandora Radio — where I am currently doing an internship. But Dario (coauthor of the paper) also gave a talk in the Technical University of Munich, and I am excited to share his slides with you — since these have fantastic and very clarifying figures! Hopefully, checking our complementary views might help folks better understanding our work.